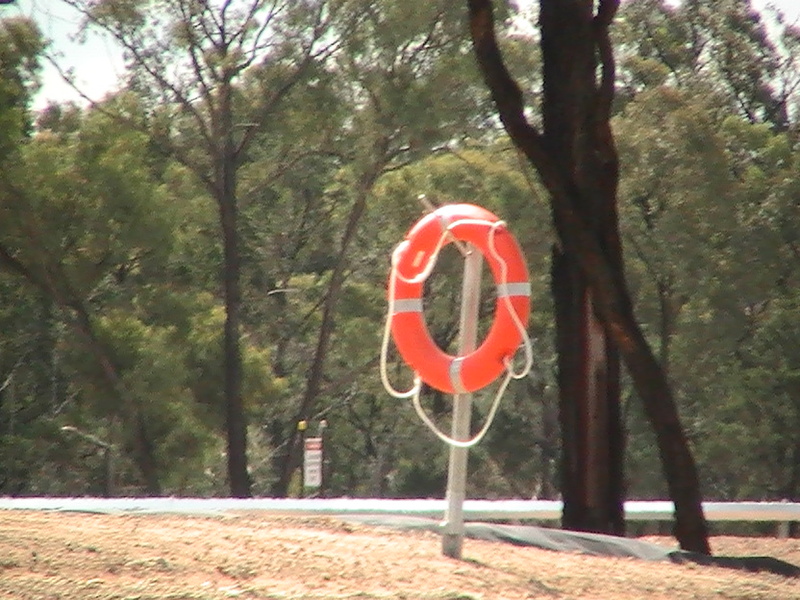 Santos installed Safety Life-buoys at all of its Dams. The only thing wrong is that Santos has made Safety into a game of Quoits. Have a good look at the Life-buoys,see anything wrong? That’s right NO SAFETY LINES. These Life-buoys, as they are, are a one shot, hit or miss non-retrieval item, and we have not mentioned the poor person in difficulties in the Dam water. 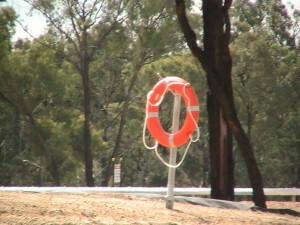 Has Santos instructed their workforce on the correct procedure re-throwing and retrieving life-buoys. You never throw at the person, but to the person, after all these life-buoys can pack a punch if they hit you. Santos has been told twice about this problem and like the Company Santos is, they have chosen to do the right thing and install ropes to the Life-buoys. Santos really cares about nothing but their own self intrest and that of the bottom line profit. Still who could blame Santosfor not being concerned about their work force, look at the attitude that that body of people have to others and the environment.